I hate pumpkin. When I was a kid, my mom liked to, on occasion, serve us acorn squash with butter and brown sugar. We would each get a half a squash, and as was the case with most children, you were told to finish the meal or we would not get any dessert. Often times, this sickly sweet combo of intense squashy flavors would induce retching and lead to stand offs between myself and my parents. These showdowns occurred with three distinct dishes my mom made: squash as mentioned previously; giblets and dumplings (why, why, why would make a child eat this? ); and finally possibly the most evil creation in the history of one pot wonders, celery casserole. This last dish was especially vile. Hot celery, cashews and probably a can or two of cream of mushroom soup (I dare not consider what else it could have been). When this was on the table, I knew I was in for an evening of meager rations and that I better hope I had stashed something in my bedroom to cut the hunger pains that would soon follow. I bring all this up because this past year I have taken into practice something my good friend Burt taught me a few years ago. Burt is an incredible cook. This is a person who explores flavors and knows so much about food history that I simply name a dish and he will recount the culture behind it and what ways it has evolved over the years. He is OF: Original Foodie. Burt has a philosophy about taste. I’m not sure when he first adopted it but I do know that I am now a devote follower. It goes like this. Once a year, or various times throughout the year Burt goes back to some of the foods that he hates and retries them. For Burt, this tends to be main dishes that define a culture or an idea. The key factor is that there are many people who enjoy it and that he, when tasting it last, did not find it enjoyable. His thought process is simple: there must be a reason that such a culturally important dish is enjoyed by so many, in addition to knowing that tastes change. All of our tastes change. It’s true. Our body change as we age, and so do the flavors we love. I love the idea, but I really do not have a desire to go and retry certain foods, least of all the notorious celery casserole. I will never go back to that casserole. It is pure evil. If there is a hell, the devil is waiting at the entrance with a bowl of said celery and a bottle of Mogen David Concord with a grin on his face. 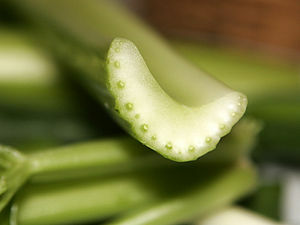 That said, I will explore celery in foods. Even cashews, which until recently made me gag with bad memories, are now slowly becoming enjoyable. Beyond this, there are two foods I thought I would never understand, and yet I’m beginning to understand: Pumpkin/Squashes and Eggplant. The squash family is starting to become my friend, but I can honestly say the lowly eggplant has become my addiction. Maybe it’s the nicotine found in it, or just my current passion for all things Turkish, but I am hooked. Moving forward is nice. Newer, better, different. But I believe that rediscovering the past is just as important. Walking back along an old path you chose to avoid can often lead to things you may have missed the first time. Flavors you failed to grasp can come into focus and lead you down new roads. Explore. It’s a big world out there. Welcome to the new Liquid Agnostic.